As expected, Apple announced the next generation of its popular tablet device at a media event today. 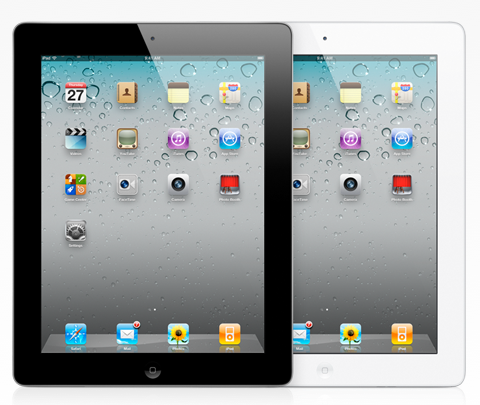 The iPad 2 will have the same 9.7-inch display but will be 33% thinner than the previous model. It will have front-facing and rear-facing cameras and Apple's new 1GHz dual-core A5 processor. With more than 15 million iPads sold, iPad has defined an entirely new category of mobile devices, said Steve Jobs, Apples CEO. While others have been scrambling to copy the first generation iPad, were launching iPad 2, which moves the bar far ahead of the competition and will likely cause them to go back to the drawing boards yet again. With the addition of cameras, the next-generation iPad will be capable of making FaceTime calls with other FaceTime-capable devices. The rear-facing camera can capture 720p HD video. Despite its thinner casing, the iPad 2 will have the same battery life as the first generation of 10 hours and 30 days of stand-by time. The 3G models of the iPad 2 will be compatible with the GSM networks of AT&T and other carriers as well as Verizon's CDMA network. The versions compatible with Verizon's network will be sold in the U.S. only. Apple has designed new accessories for the next-generation iPad, including cases called Smart Covers and an HDMI adapter. The Smart Covers will attach magnetically to the iPad 2 and will automatically wake the device when opened and put it to sleep when closed. The iPad 2 will run iOS 4.3 which will be released for other iOS devices on March 11. 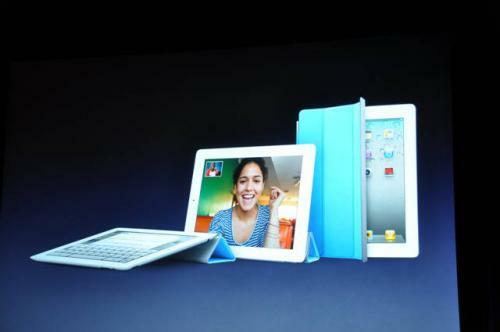 The iPad 2 will be available starting March 11 in the U.S. and will come in two colors: white and black. Pricing and capacities have not changed from the first generation of the iPad with the Wi-Fi models coming in at $499 for 16GB, $599 for 32GB, and $699 for 64GB. The Wi-Fi + 3G models will cost $629 for 16GB, $729 for 32GB, and $829 for 64GB. Everyone seems to have missed the biggie. Apple just challenged consoles HARD and no one has noticed yet. My iPhone controller will be able to control apps on my iPad, my Mac, or my Apple TV. How did you miss this? This is HUGE. I'm in, only question is white or black??! !